India has a rich heritage and a vibrant culture – thanks to thousands of years of booming civilizations. No other country offers as much diversity in landscapes, religions, culture, or festivals as India. And thanks to this diversity, there are hundreds of festivals in India that are being practiced for decades. No matter the time of the year, be rest assured that there is always a festival celebration happening in some corner of India. If you are a serious photographer or a cultural enthusiast, festivals of India can be quite fascinating and enchanting to watch! The many different festivals of India is a massive list, which will probably take me days, if not weeks to cover. And even then, chances are that I still might be missing on the whole bunch of festivals which are very regional, and not well known. 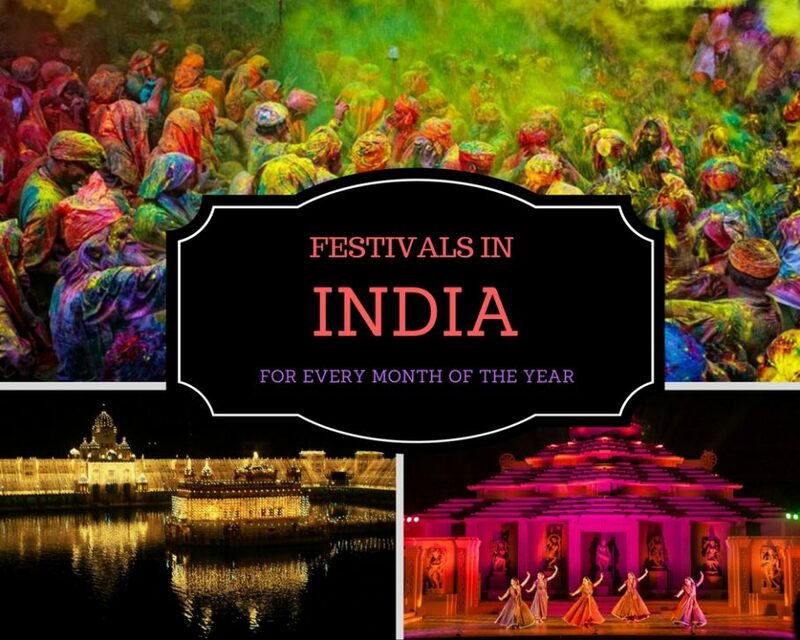 So, let’s start with a list of festivals of India that can give you a glimpse into this colorful and diverse nation! This goes beyond the religious festivals of India and lists some of the celebrated and important festivals of India ranging from culture, region, music, and so on. Now, let’s dive into it, shall we? What better way to kick-start the new year than visiting the Great Rann of Kutch during Rann Utsav? Almost a 4-month long festival (Nov 1st to 20th Feb), Rann Utsav is just one of its kind. Gujarati handicrafts, outdoor activities and varieties of cultural performances, it is hard to pass up on. Especially, in the glowing white sand of Rann on a full moon night. It is truly an experience of a lifetime. Jaipur Literature festival has grown to be the ‘greatest literary show on Earth’. It has transformed from a modest beginning to welcoming over a million book lovers from the country and the world. This five-day programme usually takes place in the third week of January. It brings together a diverse mix of writers, thinkers, humanitarians, and so on into one stay and helps in thought-provoking debates and start dialogues. The festival is hosted in Diggi Palace, Jaipur in the backdrop of the stunning Rajasthan cultural heritage. Located on the banks of Bay of Bengal, Konark Temple is a well-known World Heritage site dedicated to the Sun God. Apart from the intricate carvings and the elaborate design of the Konark temple, Konark Dance Festival takes the spotlight in February each year. It features performances of classical dances like Bharatnatyam, Odissi, Kuchipudi, Manipuri, Kathak and Chau dance at the Natyamandir. The dance performances in the backdrop of the sun temples thus make this festival in February a no-brainer for the culturally enthusiastic ones. Flushed with festive spirit in the month of March, the holy city of Vrindavan is a delight to watch. In celebrations of one of the most vibrant and fun festivals of India – the festival of colors. People from all communities converge to celebrate this festival – irrespective of caste, gender or race. North India celebrates Holi on a grand scale – although, Holi celebrations in Vrindavan and Mathura is just other-worldly. If you are looking for something unconventional, maybe you could check out Phoolon waali Holi (Holi with flowers) in Vrindavan. Who doesn’t love Easter baskets brimmed with a variety of chocolates and colorfully decorated eggs? Enter Easter Sunday. An auspicious day for the Christians – it marks the resurrection of Jesus Christ upon his death on Good Friday. Consequently, the Church of Our Lady of the Immaculate Conception in Panaji attracts the largest crowd and is the principal focus of festivities in Goa. After the mass, crowds line up on the roadside to witness the procession carrying the wooden cross. Besides beaches in Goa, there are many other places to explore in Goa. For instance, go on churches and Spice farm tour in Goa. Or for foreigners who love Indian cuisine, it can’t get better than attending a Vegetarian and Vegan Cooking class in Goa. Don’t you just need an excuse to escape to the lofty mountains and the beautiful lakes of Sikkim? The international flower festival in Gangtok just happens to be one of them. The natural topography and climate make Sikkim ideal for sundry flora to flourish naturally. Ergo, many species of rhododendron, orchids, gladioli, cacti, roses, ferns and alpine plants are displayed during the show. Also, Yak safari is a crowd favorite during the Flower Festival. Celebrated fervently by millions of Muslims, Id festival and the month-long fasting prior to that – known as Ramzan. There are usually lines of street food with varieties of meat to gorge upon during this time in the Muslim dominated areas. Cities such as Lucknow, Delhi, and Hyderabad see joyous celebrations and fanfare during Id. While in Hyderabad, go on a private full city Sightseeing tour. The desolated desert landscape of Leh Ladakh needs no introduction. The road trips to Leh from Delhi or Manali is just as breathtaking as Leh. To top it off, Hemis festival in July is just icing on the cake. It is hosted every year in Hemis Gompa – the largest and richest Buddhist monastery in Leh. During the festival, the locals deck up in traditional attire with cummerbunds, vibrant headgears and loads of jewelry. However, the most mysterious form of celebration is the mystic mask dances (Chams performance) accompanied by musical drums, longhorns, and cymbals. Apparently, this 2-day festival is remembered as the birth of Padmasambhava, the founder of Tibetan Buddhism. A boat race in God’s own country is something that will surely put you in awe. It is a significant part of the culture and tradition of Kerala. Evidently, Nehru Trophy boat race held in Punnamada Lake near Alappuzha attracts viewers from far off corners of the world. Watching the snake boat races amidst lush greenery is just a pure spectacle. One of the most well-esteemed boat races in India. When in Kerala, check out the typical houseboat day cruise in Alleppey. On the other hand, I highly recommend to explore offbeat village backwaters in Kollam, and I’ll guarantee you’ll forget all about Alleppey houseboats. In the mood to listen to some top-class Indie bands and folk music while gazing at the vast expanse of the mystic Himalayan range? Well, look no further. Ziro music festival would be a perfect venue to do just that. It takes place in the picturesque Ziro valley in the state of Arunachal Pradesh each year, in one of the remote corners of India. Yet, it attracts visitors from all over the world. Tips for visitors – Make sure you have appropriate permits to access the area – the Inner Line Permit (ILP) for Indians and Protected Area Permit for foreigners. Indians celebrate Diwali every year uniting various communities and regions. The festival of lights is one of the most brilliantly lit and one of the popular festivals of India with legions of lights illuminating millions of households. Historically, it marks the homecoming of Lord Ram from exile back to his kingdom. A grand puja of Goddess Laxmi ensues in the evening and end the day with bursting crackers. Ideally, it is best witnessed in UP, Rajasthan, Punjab, and Delhi. While in Punjab, check out the Amritsar Golden Temple on a Private Sightseeing Tour. Rajasthan is one of those culturally rich states in India with umpteen number forts and palaces. Pushkar fair is widely popular as a testimony to the vivid sights, moods, and aromas of Rajasthan. Pushkar Fair, in all likelihood, is a mega event of Rajasthan in which thousands of camel owners visit the city to participate in a medley of events. In addition, camels adorned lovingly in colorful garbs, jewelry and silver bells, are one of the great attractions of the fair. A variety of musicians, dancers, acrobats, magicians, snake charmers and food stalls are also present to delight the onlookers. Consequently, temple dancing, folk, and classical music, arts, and crafts bazaars are some of the festival highlights. Maybe, you can check out the Camel Beauty contest too. Additionally, an International Hot Air Balloon Festival is also organized during the fair. Explore Pushkar on a Day Tour from Jaipur. On the other hand, if you’re based out of Delhi, take a two day trip to Jaipur. Ever wondered how the indigenous warrior tribes in the far Eastern state of Nagaland live their life? Well, here’s your opportunity to find out. Locally known as The festival of festivals, Hornbill festival is one of the most cherished and the largest celebrations in Nagaland. And plentiful displays of handicrafts, handloom, multi-cuisine, local food stalls and a rich amount of rice beer definitely makes it worth your time. Evidently, evenings are lighted by the thrilling Hornbill National Rock Concert in which bands from all over the country and abroad participate. Also, Naga chilly eating competition and pork eating festival attracts a huge crowd and evokes much fanfare and excitement. This post serves to give an idea about the famous festivals in different parts of India during different months of the year. Writing about all the festivals across different regions and cultures may take months, at the least! So, what are you waiting for? Book your accommodations at these locations right away by entering the city below! Given that these towns would be busier during the festival season, so it’s ideal to book accommodations as soon as you can! Ideally, at least three months before to get good deals, and best stays. Do you have a list of favorite festivals of India? And, which of these festivals are you going to attend this year? Let me know in the comments below. All these culture, history and myth are the reaso why India is on everyone’s bucket list. India is really a must see. These all look amazing. India just looks so vibrant! I would love to go one day! So that’s white sand in Rann Utsav? I thought it was snow and I was even about to ask if it snows in India. Nevertheless, it looks beautiful. What I want to experience is the Holi festival. I attended one here in my country, the Philippines last year. The Indians here have decided to hold their own holi festival and it was opened to the public so my friends and I went. It was such a blast! I had fun playing with those colorful powders. And I want to experience it in the country of its origin. What a fun way to immerse in the cultures of each place but to attend the festivals. They are so colorful and lively. 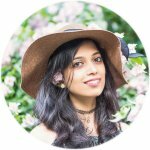 I have been working with a lot of Indian Nationals for a long time now and have heard of the Diwali Festival and would love to experience it someday. India has amazing festivals!! I would love to see “Holi” i think is the best experience by far!! Wow! So it means you can’t miss a festival when in India. The reson why I love to go to India is because of its rich culure. Holi is celebrated in my country- Trinidad and Tobago, by the Indian diaspora. Festivals are so vibrant and fun with the food, culture and festivities! Cannot wait to visit India one day! This is a fab idea for a post. Travelling a country when there are happenings or festivals is so much more fun. Thanks for sharing! I’m drooling over all of these colors! This is definitely a post I’ll have to save for when I plan a trip! India is a rich land in terms of culture, heritage and festivals. With people of different religions, races and communities living together in unison, the country celebrates some of the major festivals with great devotion, joy and enthusiasm.